Merritt (British Columbia), October 2, 2011.- Antoine L'Estage (of St-Jean-sur-Richelieu, QC) and his co-driver Nathalie Richard (of Halifax, Nova Scotia) contested the Pacific Forest Rally, the penultimate round of the Canadian Rally Championship, held this past weekend in British Columbia. The duo won six of the competitive stages and assured themselves second place overall, giving them enough points to clinch the 2011 Canadian title with one event remaining in the championship. 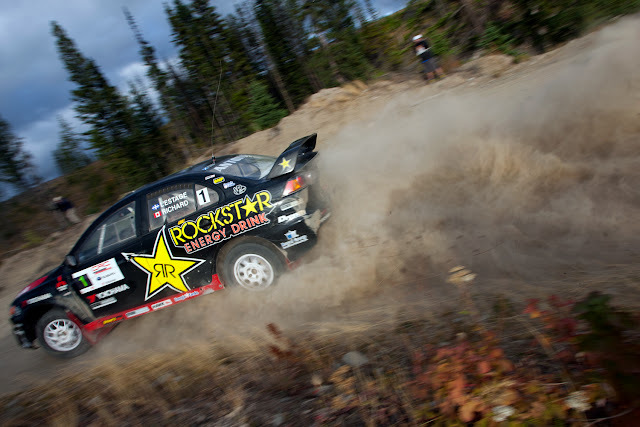 This marks the fourth Canadian championship for the Rockstar Royal Group team and is their second 2011 title, after locking up the North American Rally Cup with their win at the Rallye Défi in September. We stuck to our original plan for the weekend and the entire team did an amazing job to ensure that we could bring home the championship title again this year » confided Antoine L'Estage, who adds : « after winning every single Canadian rally since September 2010, (seven consecutive events), I had to hold myself back a bit here because our priority was the championship title. The Pacific Forest Rally is not an easy event and again this year, many teams suffered from flat tires or mechanical issues. Our Yokohama tires provided us with the best line-up to avoid any flats and our Mitsubishi Lancer Evo X was once again extremely reliable. Our championship is as much for us as it is for John Buffum and the entire Rockstar Royal Group team for their dedicated work throughout the entire season ». Quebec driver, L’Estage, and his small private team have experienced a remarkable season with a string of victories and titles. « Winning the championship here in Merritt, during the second last event in the 2011 calendar, is such an advantage because it eliminates all pressure for the Rally of the Tall Pines, the final event of the year taking place next month in Ontario. The last rally will still offer Mitsubishi a chance to win the manufacturer’s title if the top Mitsubishi finishes in the top 6 overall » mentions Antoine L'Estage. As for Nathalie Richard, this second consecutive Canadian title highlights a faultless season : « this year we truly demonstrated how important the concept of a team is. In the car, it’s Antoine and I that need to set fastest times but it’s the work of John Buffum and our amazing mechanics, as well as the implication of all of our sponsors, that enable us to be so successful » she explains. Antoine L’Estage holds four North American championship titles (2007, 2008, 2010 and 2011), four Canadian titles (2006, 2007, 2010 and 2011), one American title (2010), and thirty-one overall victories in Canada and the US. Nathalie Richard holds seven overall national championship titles (4 in Canada and 3 in the USA), as well as thirty-seven overall rally wins on both sides of the border. She is also a seven-time North American Champion (2004 – 2011, excluding 2006). Antoine L’Estage and Nathalie Richard participate in the 2011 Rally America and Canadian Rally Championships with the support of Rockstar Energy Drink, Royal Group, Yokohama Tires, Mitsubishi Canada, Drenth Motorsport Gearboxes, Garrett Turbos, Énergie Cardio, Libra Racing, Driver's Edge Autosport (OMP), VP Racing Fuels, Exe-Tc Suspensions, Seibon Carbon and Hawk Performance Brake Pads. 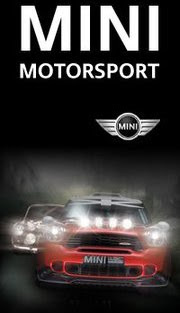 For more information on the team or on rallying in general, visit antoinelestage.com.